Lauer Middle School has a super-secret society—The Legend. No one knows who is in it. Or how they pull off the spectacular schoolwide events. Seventh grader Travis Raines may be about to find out. A shiny blue envelope marked For Your Eyes Only mysteriously appears in his locker. You have been chosen, the message says. But if Travis is to become Legendary, he must first solve a series of mind-bending puzzles and complete their challenges. Then he needs to stay out of trouble. The assistant principal has her eye on him. So do his parents. And even if he does all that's asked of him, Travis still has one question: is the message really from the Legend? Jody Feldman has always loved riddles and brainteasers and word games, and she lives in a city on a river whose name contains four s's, two p's, and four i's. 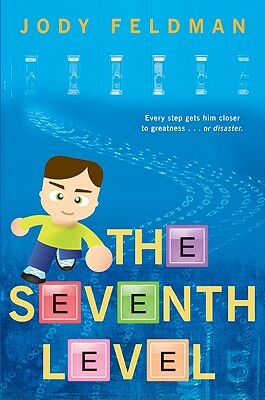 Jody has written as many books for young readers as there are players in a doubles tennis match. To find out how many brothers she has, take the number of bases on a baseball diamond and divide it by the number of times Grover Cleveland was president of the United States.